Queen Elizabeth I (1533 – 1603) ruled over England and Ireland for a period of 44 years and 127 days, making her the ninth longest reigning British monarch. The reign of Elizabeth I is known as the Elizabethan era and is considered as the golden age in English history. Apart from other things, the period is renowned as one of the most splendid ages in English literature and a great age of English exploration. It was also an era which instilled national pride in the people of England. Among the most well known achievements of Queen Elizabeth are: the defeat of the great Spanish Armada, which is regarded as one of the greatest military victories in English history; and the Elizabethan Religious Settlement, which provided a long lasting middle way between Roman Catholicism and Protestantism. 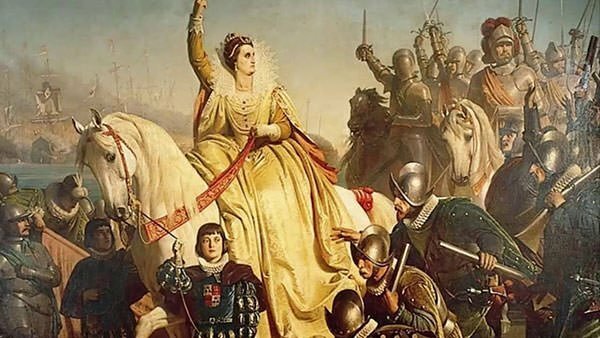 Know more about the contributions of one of the greatest monarchs in English history through her 10 major accomplishments. Elizabeth I was the only child of King Henry VIII of England and his second wife Anne Boleyn. At the time of her birth in 1533, she was the heir presumptive to the throne of England. In 1536, Anne Boleyn’s marriage to Henry VIII was annulled. Anne was publicly executed and Elizabeth was declared illegitimate. Henry had four more wives after Anne. He died in 1547 and was succeeded by his son with his third wife Jane Seymour, named Edward VI. Edward died in 1553 at the age of 15 and was succeeded by Mary I, Henry’s daughter with his first wife Catherine of Aragon. During Mary’s reign, Elizabeth was imprisoned in the Tower of London on charges of supporting a rebellion to overthrow the Queen. She narrowly escaped execution. However, in 1555, Elizabeth was recalled to court and in 1558, Mary recognised her as her heir. Mary I died on 17th November 1558 and Elizabeth succeeded her. She was crowned as the Queen of England and Ireland on 15th January 1559. When Elizabeth I took over the throne of England, she inherited a virtually bankrupt state from previous reigns. She thus introduced frugal policies to restore fiscal responsibility. Her fiscal restraint cleared the regime of debt by 1574, and ten years later the Crown enjoyed a surplus of £300,000. Apart from the Queen’s policies, major contributing factors for the economic prosperity of England were trans-Atlantic trade, persistent theft of Spanish treasure and the African slave trade. Merchant Thomas Gresham founded the Royal Exchange to act as a centre of commerce for the City of London. It was opened on 23 January 1571 by Queen Elizabeth, who awarded the building its royal title and a licence. 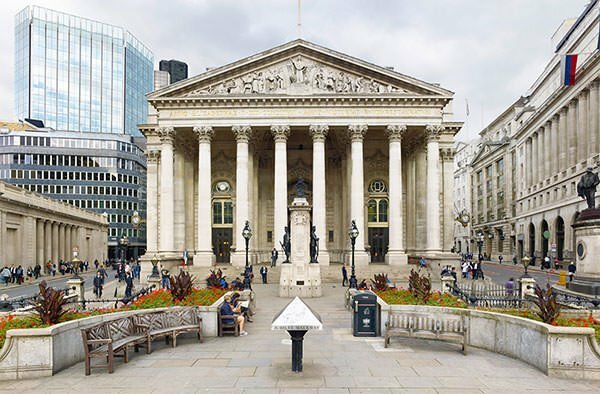 The Royal Exchange also proved to be hugely important in the economic development of England. Elizabeth I ruled over England and Ireland for a period of 44 years and 127 days from November 17, 1558 until her death on March 24, 1603. She is the ninth longest reigning British monarch. Among females, her reign is the third longest after Elizabeth II and Queen Victoria. The reign of Elizabeth I, known as the Elizabethan era, was a period in which England enjoyed stability and internal peace. This was in sharp contrast to the previous and following periods which were marred by religious battles between Protestants and Catholics; and the political battles between parliament and the monarchy respectively. During the Elizabethan Era, the nation is considered to have been more prosperous than most of the nations in Europe with only Spain being their major rival. The reigns of Elizabeth’s father Henry VIII and her siblings Edward VI and Mary I had seen England swing from Catholicism to Protestantism and back to Catholicism. This had caused much religious division in the country and even persecutions in the name of religion. 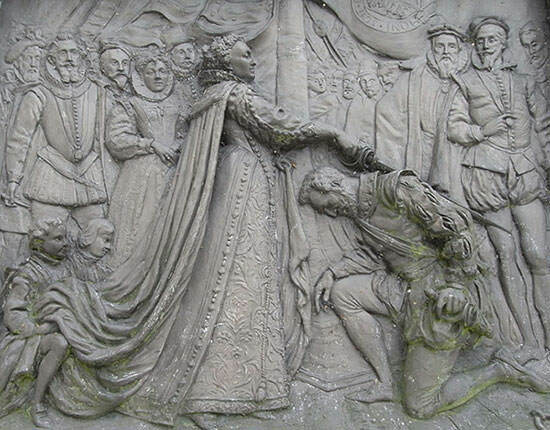 Elizabeth addressed the issue immediately after becoming queen through the famous Elizabethan Religious Settlement. The Act of Supremacy of 1558 was passed which re-established Church of England’s independence from Rome and gave her the title of Supreme Governor of the Church of England. The following year, the Act of Uniformity was passed which found a middle ground by which the Church of England was moderately Protestant but also continued many of the Catholic traditions. 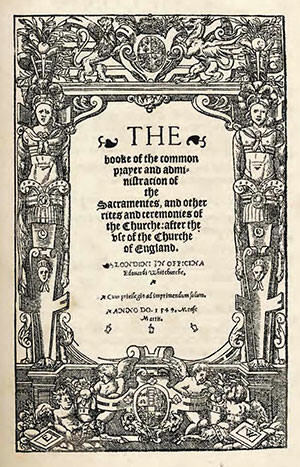 The Church of England’s doctrinal character today is largely the result of the Elizabethan Settlement, which sought to establish a comprehensive middle way between Roman Catholicism and Protestantism. Philip II of Spain, who had been married to Elizabeth’s sister Mary I, was the most powerful Roman Catholic king. In 1588, the Spanish Armada, a great fleet of around 130 ships, 8,000 sailors and 18,000 soldiers, set sail from Spain with the purpose of assisting an invasion of England to overthrow the Protestant queen Elizabeth I. On July 29, the English fleet badly damaged the “Invincible Armada” in the decisive Battle of Gravelines. Five Spanish ships were lost and many were badly battered. This led to the retreat of the Armada and defeated its purpose of assisting an invasion of England by an army led by the Governor of the Spanish Netherlands. 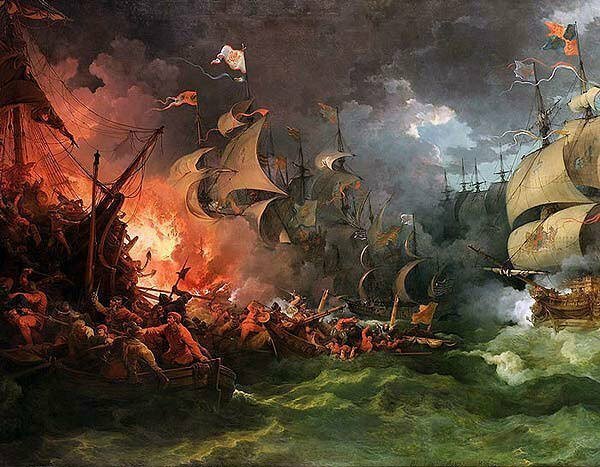 England’s defeat of the Spanish Armada is regarded as one of the greatest military victories in English history. Elizabeth’s leadership during the emergency is generally praised and victory over the Spanish Armada is one of her best known achievements. The Elizabethan era was an age of great exploration for England. The primary motive for the Queen for encouraging exploration was to open profitable trading routes. Sir Francis Drake is perhaps the most famous navigator of the period. He was authorized by Queen Elizabeth I to carry out expeditions to raid Spanish treasure ships in the New World. One such expedition led to Francis Drake becoming the first Englishman to circumnavigate the globe, for which he was knighted by Queen Elizabeth. This was the second circumnavigation of the world in a single expedition. Apart from Sir Francis Drake, other prominent explorers of the Elizabethan era include Sir Walter Raleigh, Sir John Hawkins, Sir Humphrey Gilbert, Sir Richard Greenville and Sir Martin Frobisher. Elizabethan era exploration proved instrumental in the foundation and expansion of the British Empire in the 17th century. Many of the great works of English literature were produced during the reign of Elizabeth I. Her actions and the court atmosphere she nurtured played a key role in the flowering of literature. The writers of the day usually enjoyed the patronage of members of Elizabeth’s court. From the advent of her reign, Elizabeth I was a major patron of the stage, and drama flourished under her support. She invited theatre companies to perform at her palaces, thus increasing their reputation. 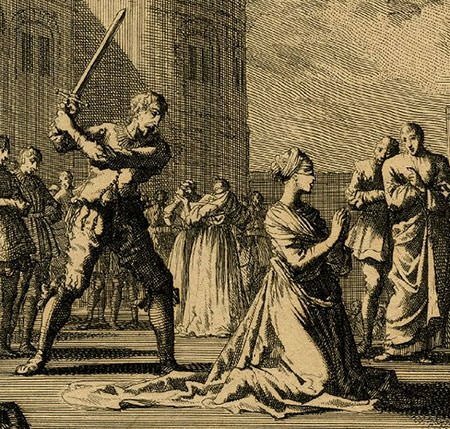 She also prevented the shutting down of the London theatres on the basis of their “immorality.” The literary works produced during the Elizabethan era are known as Elizabethan literature. Most famous writers of the age include the playwrights William Shakespeare, Ben Jonson and Christopher Marlowe; the poets Edmund Spenser and Sir Philip Sidney; and the prose writers John Lyly and Thomas Nashe. Elizabethan literature is regarded as one of the most splendid ages of English literature. The Elizabethan era is considered as the golden age in English history. It was period which inspired national pride through classical ideals, international expansion, naval triumph over the Spanish and huge cultural development. 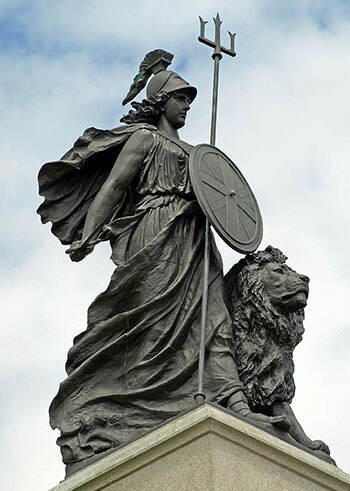 It was during the reign of Elizabeth I that “Britannia” came to be viewed as a personification of Britain and as a rhetorical evocation of a British national identity. Britannica has since remained a British cultural icon with her image featuring on all modern British coinage series until the redesign in 2008. 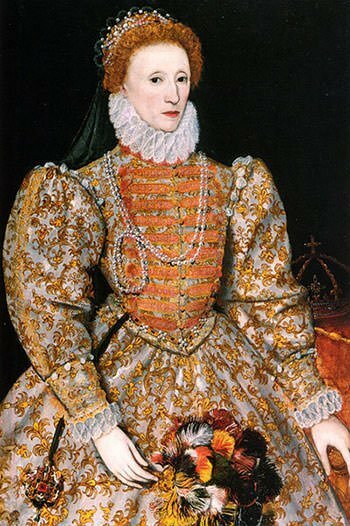 Elizabeth I largely kept England out of expensive wars and was able to crush conspiracies and rebellions against her providing a period of stability. Among other things, Elizabethan era saw unprecedented flowering of English poetry, music and literature as well as important developments in painting. Queen Elizabeth I ascended the throne at a time of religious conflict and she provided a successful course between Roman Catholicism and Protestantism. She oversaw a period of peace and prosperity; and provided an environment for the flowering of the arts and literature. Such was her influence that the period of her reign is referred to as the Elizabethan era. Though she followed a largely defensive foreign policy, her reign raised England’s status abroad. During her rule, England was economically healthier and more optimistic than it had been for a long time. It was also one of the most prosperous and powerful nations in Europe. Due to her accomplishments, Elizabeth I is regarded as one of the greatest monarchs in British history and, along with Queen Victoria, she is perhaps the most influential female leader in English history. You’re welcome. Happy to help.